One of our experimental subjects is a Daphnia. 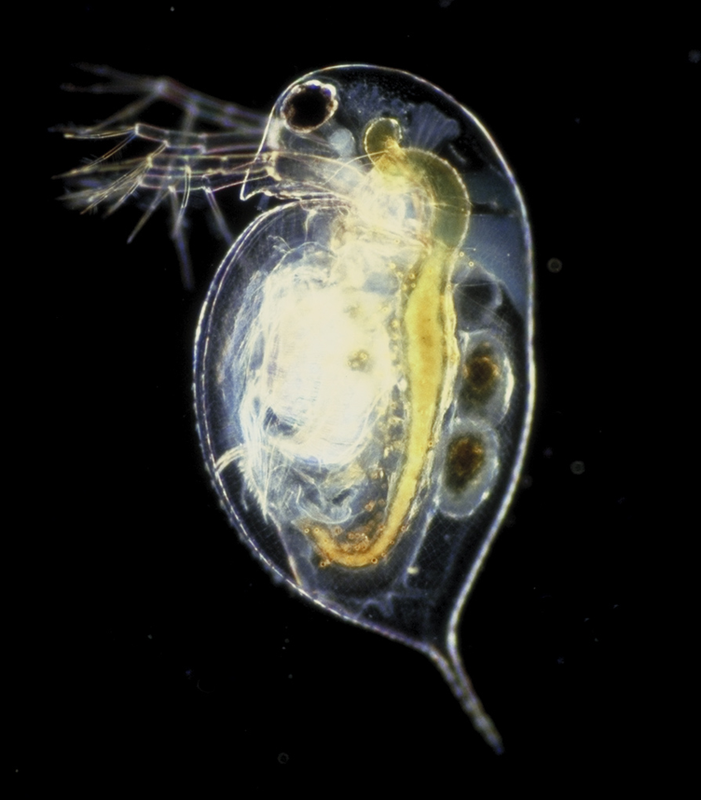 Daphnia are small crustaceans that live in freshwater. They eat algae and can grow to be the size of a pinhead. A daphnia has a thin exoskeleton which is almost transparent so you can see its heart beating, about 200 beats per minute. Even though they are small invertebrates their nerves work much like humans. They even respond to some of the same neurochemicals.